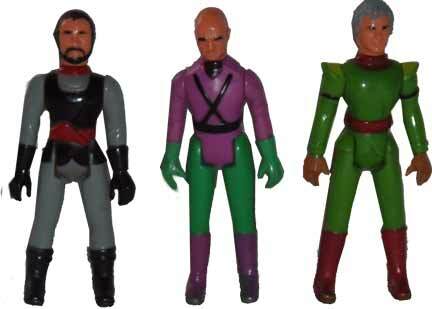 A number of new vehicles and figures were created for this line that were not available in the Comic Action Heroes line. 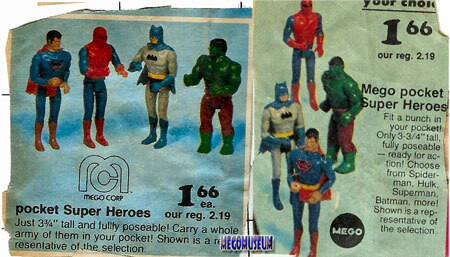 Pocket Hero Batman and Robin sometimes came with their bat ropes, other times, they didn’t. Figures included: Batman, Robin, Superman, Spiderman, Hulk, Green Goblin, Wonder Woman, Aquaman, Captain America, and Lex Luthor, General Zod, and Jor-El in a loose tie-in to the Superman Movie.The figures came on three varieties of cards categorized by colour, Red: White and Blue (Denim) . 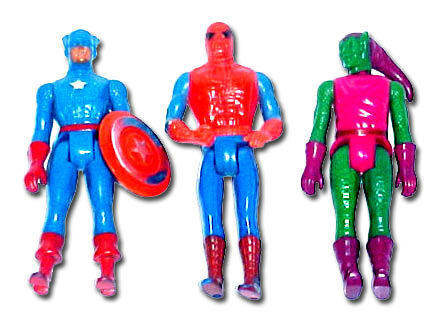 This Spiderman is a later version with corrected arms, Hulk is a converted Comic Action Hero. 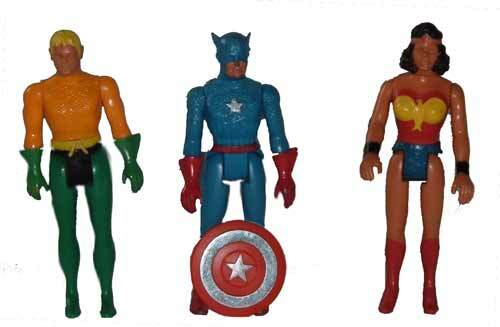 Aquaman, Captain America and Wonder Woman are part of the 1980 wave of figures that were completely resculpted for the line.